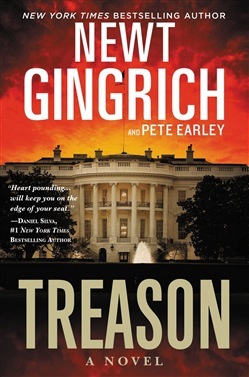 Leading politician and bestselling author Newt Gingrich and novelist Pete Earley are back with another gripping international thriller. THE WORLD'S MASTER TERRORIST, known only as the Falcon, has infiltrated Washington's highest corridors of power, threatening the very existence of our democracy in this realistic tale of modern day TREASON. Major Brooke Grant has been waging war against terrorism since her parents were murdered during 9/11, keenly aware that her enemy transcends borders. But a coordinated attack on the president at the funeral of a Washington power broker leads her to a terrifying revelation: the enemy is closer than she'd ever imagined and is hiding in plain sight. The Falcon has gained a weapon no terrorist has ever wielded before: an American-born traitor burrowed inside the U.S. government itself. TREASON is a story of a nation fighting for its life not only against outside threats but also against an internal threat-a fanatical jihadist who uses liberty as a shield while trying to destroy the civilization created in its image. Major Grant's deadly chess match with the Falcon turns personal when he issues a fatwa against her and those she loves. Can she unmask the traitor and stop the Falcon's most skilled assassin sent to kill her before he strikes? Or will she fall victim to betrayal by a false friend in this gripping tale of treachery, courage, and ultimately patriotism where good battles evil? Only Newt Gingrich, who brings decades of experience in national security and politics to bear in his collaboration with journalist Pete Earley, can spin such a vivid mix of reality and fiction, daring readers to guess where the line between the two is crossed. 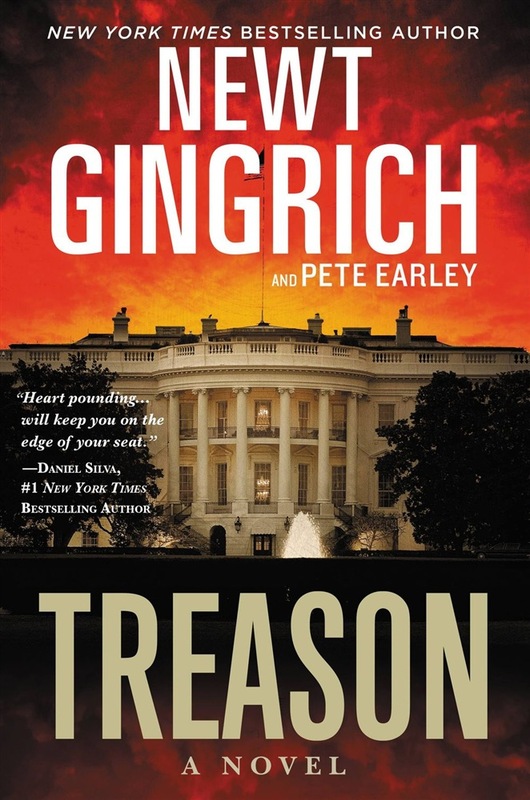 Acquista Treason in Epub: dopo aver letto l’ebook Treason di Newt Gingrich, Pete Earley ti invitiamo a lasciarci una Recensione qui sotto: sarà utile agli utenti che non abbiano ancora letto questo libro e che vogliano avere delle opinioni altrui. L’opinione su di un libro è molto soggettiva e per questo leggere eventuali recensioni negative non ci dovrà frenare dall’acquisto, anzi dovrà spingerci ad acquistare il libro in fretta per poter dire la nostra ed eventualmente smentire quanto commentato da altri, contribuendo ad arricchire più possibile i commenti e dare sempre più spunti di confronto al pubblico online.